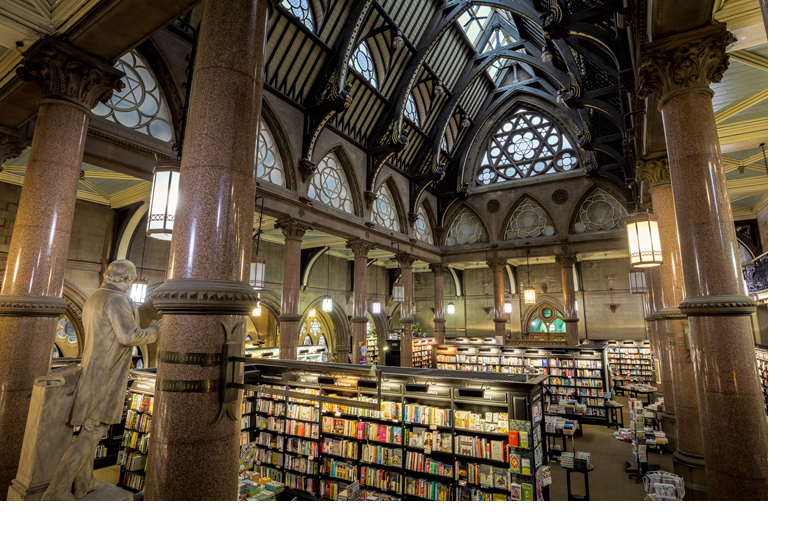 Bradford is becoming a cosmopolitan, stylish and desirable place to live and work. Located in West Yorkshire, England, the city is benefiting from millions of pounds worth of investment in regeneration projects that are already transforming the city centre. The city has a diverse range of cultures, as since the 19th century the city welcomed immigrants from Ireland, Germany, Poland, Lithuania, Ukraine, South Asia, Pakistan, India as well as Bangladesh. Bradford has emerged as a tourist destination, becoming the first UNESCO City of Film with attractions such as the National Science and Media Museum, Bradford City Park, the Alhambra theatre and Cartwright Hall. The main things to see in the city centre National Museum of Photography, Film & Television with five floors of media history as well as the IMAX – Britain's largest cinema screen. Looking to escape the stress of working in the office during the lunchbreak or just for a family day out? Unconventionally, Bradford’s city centre would be the place to go and relax. Here you can find some of the most exclusive parks and gardens including Mughal Garden and Shalamar Gardens. Saltaire (picture on the left) is a Victorian model village, designated a World Heritage Site by UNESCO. This must see is located just on the outskirts of Bradford. Apart from the unique heritage, one can also find here a variety of boutiques, vintage shops and regular markets. 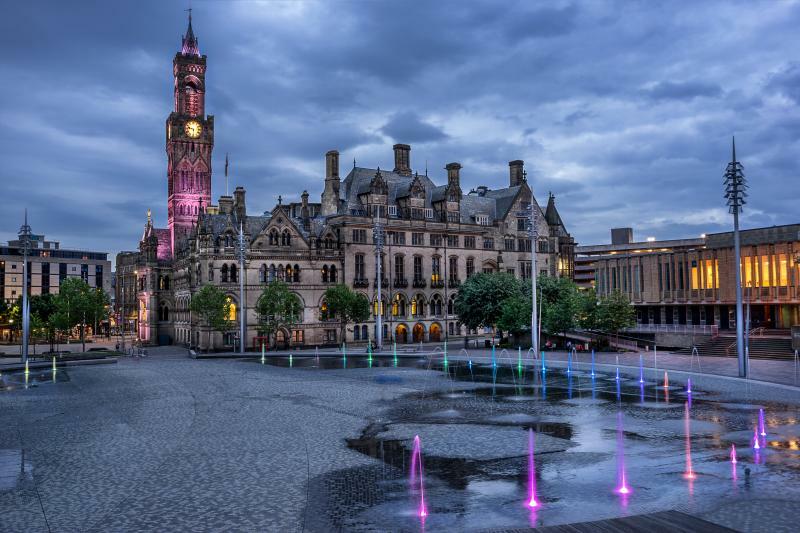 Bradford has excellent rail links and is served by two central train stations; Bradford Interchange and Bradford Forster Square which connects into intercity services to London, Manchester and further afield by car. Bradford's own motorway, the M606, links with the M1, A1 and M6 via the M62. Travelling between Bradford's towns and villages is easy on public transport, as is travelling to nearby cities such as Leeds, York and Manchester. On a work day, the best way of commuting into Bradford is by bus. There are more than 60 primary schools and over 34 secondary schools in Bradford. See them here. The University of Bradford is located directly in the city of Bradford and is a public, plate glass university. There are two campuses: the main campus located on Richmond Road and the School of Management, at Emm Lane. According to stats from its local authority, Bradford has 15,200 businesses employing 192,200 people and is primarily defined as a “producer city”. There are a large number of production businesses: manufacturing, energy & utilities. The other large sectors are retail, financial and business services, public sector and accommodation/food industry. Bradford’s dining scene can cater for all tastes and budgets and offers a variety of international options particularly located around the new Centenary Square development. The city has some of the best Asian restaurants in Yorkshire and is proud to be Britain's Curry Capital of Britain. After a day exploring Saltaire, indulge in one of their Chinese, Spanish Tapas or French cuisines. Alternatively, visit a traditional village pub at the picturesque Brontë Country. Bradford offers a range of shopping centres starting from high street brands at The Broadway, brand new shopping centre in the heart of the city; to Kirgate Centre for established retail names such as Primark. Looking for boutiques, vintage shops and regular markets? Visit Saltaire. Bradford also has some of the best Asian shops in the country, including Bombay Stores the UK's largest department store. And the list could go on and on. Bradford has many good quality pubs and clubs to choose from during the night as well as the day. Bradford is known for its beer festivals that take place throughout the year in the city. Aside of that, an increasing number of bars in Bradford now serve a wide range of guest ales, making it a sought-after location for beer lovers. Local amenities such as Hospitals, Doctors, Chemists, and Schools can be viewed for each property on our website. Search for social housing properties available immediately via Homefinder UK in Bradford here.